There is an urban legend which affirms that the position of Orinoco statue whit the arm lifted and the body moving backwards, is insinuating that the church was not built properly and it would have fallen. It’s said that there was a rivalry between Bernini and Borromini, who designed the church. 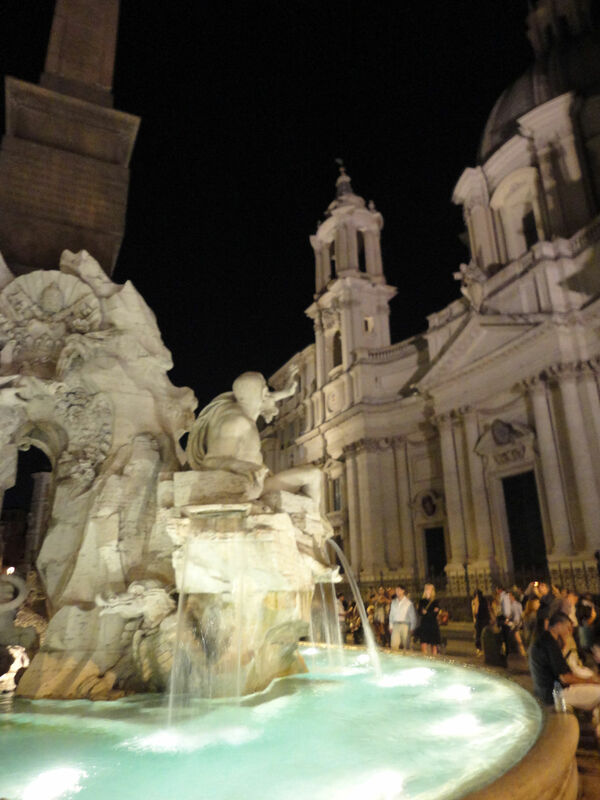 Nevertheless, is not true, the church called Santa Agnese in Agone was completed after Bernini’s beautiful fountain. Questo non é il fiume Orinoco, e il fiume Orinoco, é Il fiume della plata (rio de la Plata).